Rich culture celebrated through food in the heart of Oak Cliff! Known for its diverse eateries, bakeries and specialty shops that serve up the flavor for any craving. 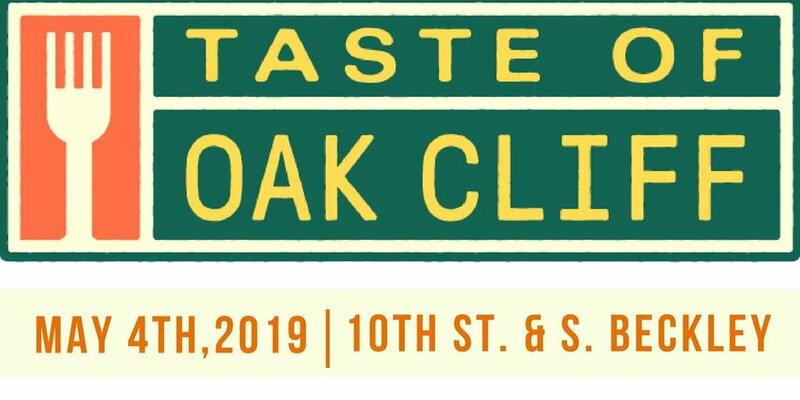 Taste of Oak Cliff festivities will take over several blocks in the heart of the neighborhood and turn them into the ultimate foodie experience from 12 pm to 7 pm Saturday, May 4th, 2019. The cost of entry is $5, ticket sales will begin soon. Presented by the Oak Cliff Chamber of Commerce, Taste of Oak Cliff, a one-day event will feature numerous local Oak Cliff restaurants, chef demos, spirits and desserts.